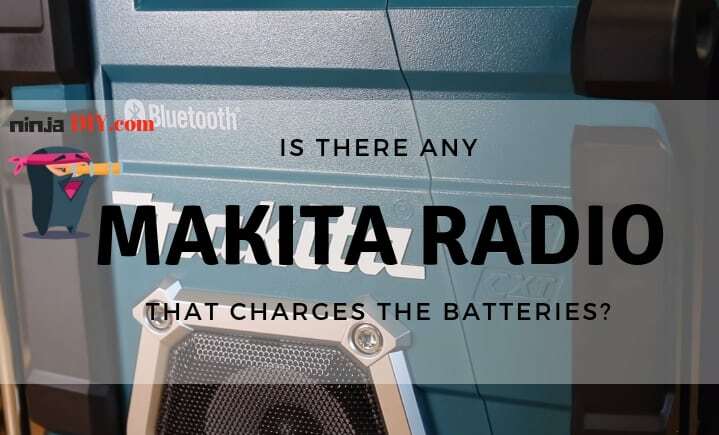 Home » Makita Radio That Charges Batteries – Is There Such A Jobsite Radio Available On The Market? 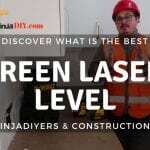 Ok ninjas, so you want to have a bit of fun whilst working on a construction site…and you have decided to have a look at buying a job site radio. If you are already a Makita tools fan, you probably have decided to go for a Makita jobsite radio. 1 Will Makita Radio Charge My Batteries? 2 Any Pros Or Cons Of A Radio That Charges The Batteries? 4 What To Look For When Choosing A Worksite Radio Player? Will Makita Radio Charge My Batteries? I bet that you want to have a radio for your site that is cordless, right? And let’s face it … it’s so annoying having to plug the radio for half an hour in one place, and when you move, unplug it and plug it again in another room … I hate it. The answer to your question is: NO! Unfortunately (for the Makita fans), at the moment, Makita haven’t got a radio player that can charge your batteries! But is this possible? A worksite radio that charges the batteries? Some jobsite radio manufacturers like DeWalt and Milwaukee have created radio players with a built-in charger. When the radio is plugged in, it can charge the battery for the radio or for use in a compatible cordless tool on the job site. Here’s a list of my top 10 best jobsite radios where I have included few worksite radios that DO CHARGE your batteries! … and that can charge it’s own batteries. Any Pros Or Cons Of A Radio That Charges The Batteries? Not too many cons, of course, other than that it could be a bit more expensive than a radio that doesn’t charge the batteries. So, from a professional point of view … it’s much worth it to spend a bit more on a radio that has a built-in charger than buy just any jobsite radio which by the way, many of them will sell you the batteries and the charger … on the side! And now, here’s a comparison table with some of the most known and liked jobsite radios. Mind you, I've just put 3 radio players here ... there are a lot of brands out there nowadays. I want to help you make a good decision if you want to buy one. With that in mind, here are some quick tips that will help you decide to get yourself a Bluetooth job site radio. What To Look For When Choosing A Worksite Radio Player? 1. Well, first things first ... How tough is it?! So make sure the radio player has a decent overall protection. 2. Can I charge my mobile? I believe nowadays, we all use the mobile phone so much that the battery goes dead in just a few hours. So having somewhere to charge it ... is definitely a plus for a worksite radio. 3. Can I connect my phone via Bluetooth? Another great feature will be the option to connect your phone to your jobsite radio via bluetooth. This way eliminating more cables from your way. 4. Does the radio has a safety compartment? Not sure what that is? Is just a small designated area somewhere in the radio player case where you can store your phone, for example, reducing the risk of dropping and breaking your phone or mp3 device. 5. Can I plug my USB stick and play music from the USB? This will allow you to keep your phone safe in your pocket whilst having thousands of music tracks in one single place. Just have to make sure the jobsite of your choice has this option. 6. Does it come with battery and charger? What you will find out is that many radios will be sold separately from the battery and the charger. So make sure you check that it's all included. And if it's not ... you'll have to do the math and see if you are still happy to pay for all these things individually. 7. Can it charge the batteries? I can't think of any other feature that you should look at when looking for a job site radio ... if you think there are other things that I should include here ... PLEASE let me know in the comments. And here are a few words about each one of them. I'll leave below a short description of the two radios that can charge not only your mobile phone BUT your radio and tool batteries as well. It will come handy if you want to compare them with any Makita radio player. This one here is one of the best jobsite radio players out there. If you click on the link above it will take you to Amazon where you can read lots of reviews to see why people like it. To be honest with you, I haven't seen a lot of Milwaukee M18 jobsite radios on the construction sites that I've been working on ... what I do see a lot is DeWalt and Makita radio players. I guess is because both are cheaper than the Milwaukee radio/charger. Anyway ... the biggest downside to this Makita is that it can't charge your batteries. If Makita wants to compete with these two bad boys here ... they really need to have a look at making a radio that can charge batteries as well. Enclosed in a reinforced cage, the Makita radio player can be used on any construction site without fear of damaging the unit (easily:) )...after all, everything can break. But this unit it's quite heavy duty built. It's really a good addition to any construction site or workshop. Encased in a reinforced roll-cage and sporting one top and two side metal handles, the Milwaukee M18™ Jobsite Radio/Charger 2792-20 features front-facing stereo speakers, a large LCD display that stays lit when the radio is on, and a powerful 40-watt amplifier. The built-in 3-amp charger will quick-charge any M18 battery when the radio is line powered. There’s a large weather-sealed storage compartment on top with a USB power outlet and a stereo aux jack for plugging in an MP3 player or other electronic devices. When on battery, the unit automatically shuts down if the charge is very low, preventing a deep discharge. The power cord is attached directly to the radio and wraps around fittings for storage. Equalizer control of the bass and treble. As I said earlier, when the radio player is plugged in, the radio can charge a battery either the one that you are using with the radio or any other battery compatible with a DeWalt tool. It's easy to monitor the status of your battery by looking at the red light on the unit (you'll see a red light either blinking or fixed indicating the status of the charge). The DeWalt jobsite radio has a USB port which is helpful if you want to charge your phone. As well, it has a handy auxiliary port in case you want to plug your phone directly into the radio player. ☞ If you are looking for a great boombox I have put together a collection of some of the best sounding boom box players out there. Check it out before you leave. So for now, you'll still have to charge your radio battery previous work or use it with the power cable provided. By the way, please let me know what jobsite radio you are using on your projects! Make sure you can use your radio at work. On many, almost ALL the construction jobs I've worked lately, any type of music device is prohibited for Health and Safety reasons. Even in plants like excavators, forklifts, or whatever ... it's not allowed to listen to the radio. Alright, I hope this little article helped you in some way, don't forget to comment, please.